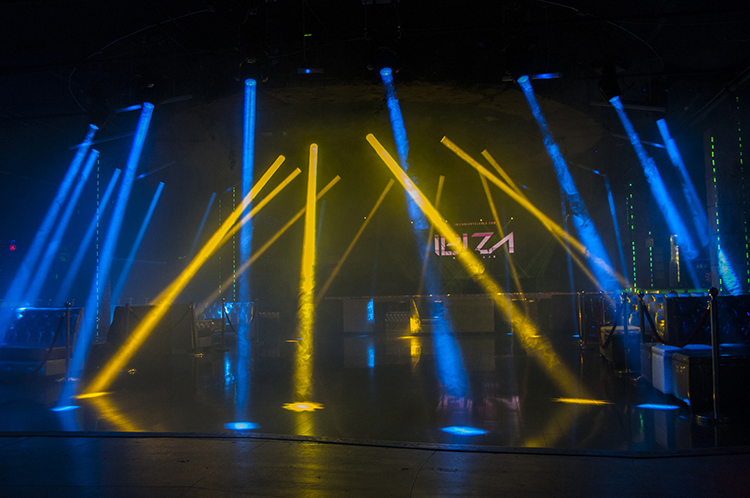 A great lightshow can completely transform a venue, adding energy and creating an atmosphere that encourages dancing and provides a backdrop to an unforgettable night out. The owners of Ibiza Nightclub in California knew this to be true, which is why they set out to create a stunning lightshow with a stunning sound system. 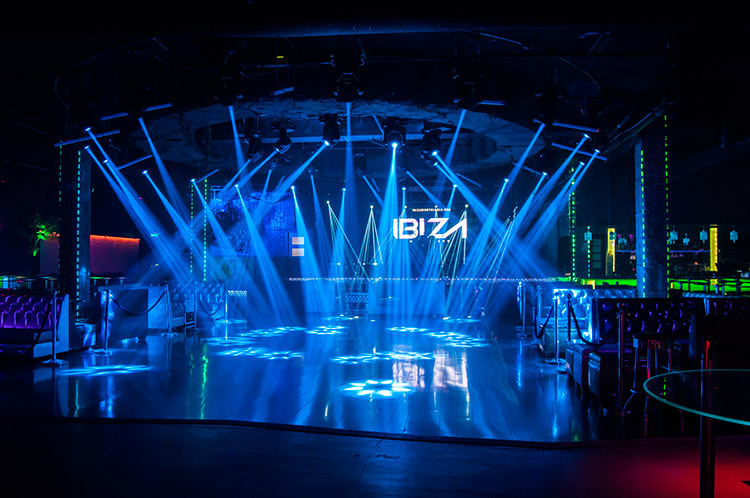 Located in Huntington Park, just 5 miles South East of downtown Los Angeles, the Ibiza Nightclub, is an opulent venue that focuses on Latin music. 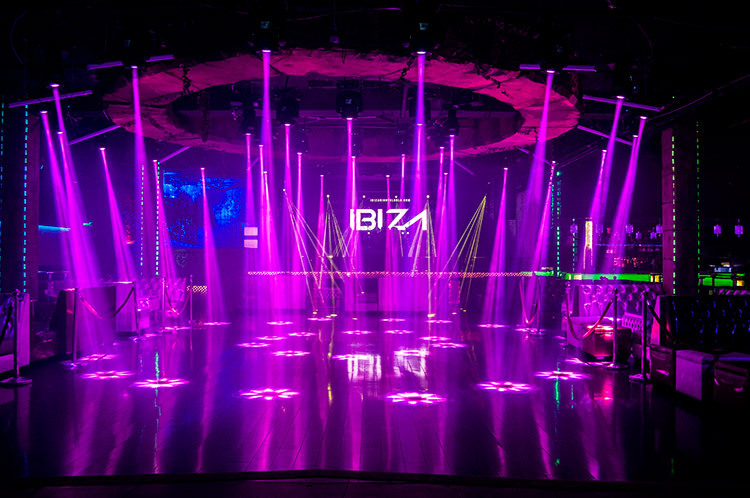 The 17,000 square foot club is licensed for a capacity of 1,200 people and features a stage that hosts regular live music performances as well as two dance floors, multiple bars and lots of VIP seating areas. 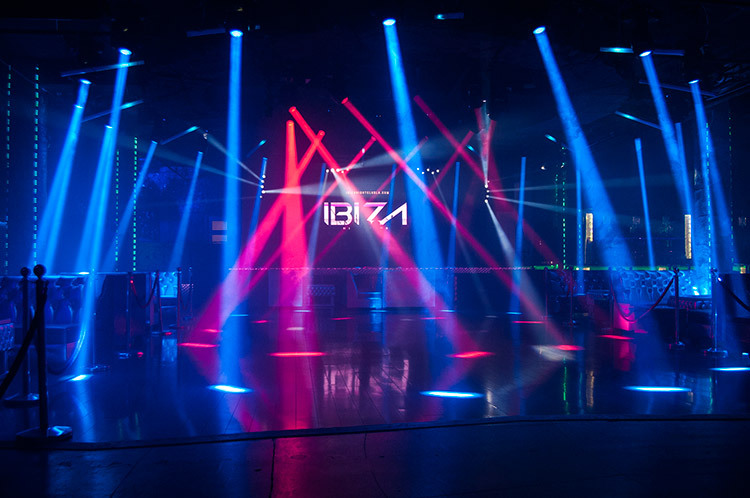 Latin Power Lighting & Sound of Los Angeles, fulfilled the vision of the owners of Ibiza by installing a kicking DAS sound system with lighting from ADJ and Elation Professional. 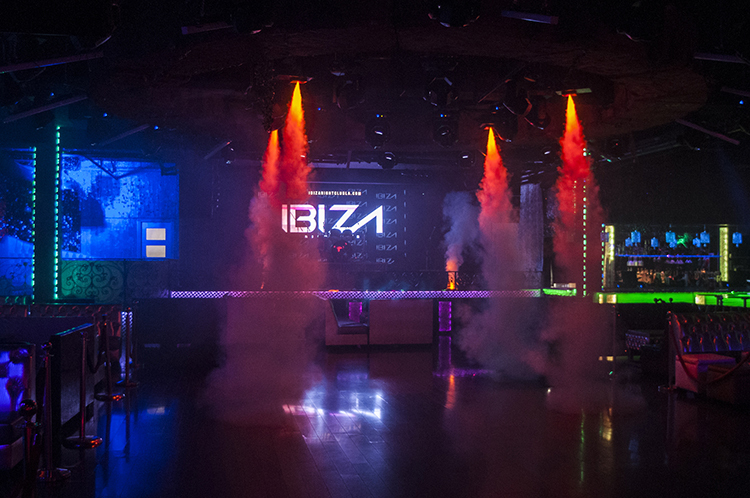 In the center of the venue is a circular structure with 30 moving head beams and 4 vertical fog machines for a CO2 type effect. The venue also uses LED tape light to accent the decor in the venue. Topping things off, the venue uses LED Video Panels to add extra visuals to the already eye-popping lightshow.